Fermacell is a high performance multi-purpose dry-lining board for walls, ceilings and floors. 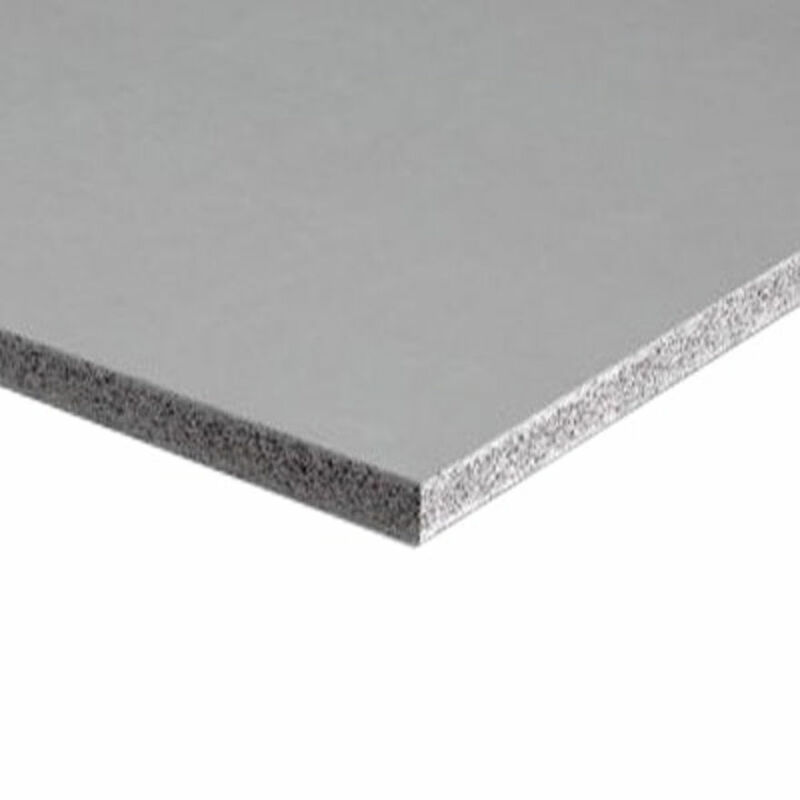 Fermacell insulation board has exceptional fire, impact and moisture resistant properties with high levels of acoustic insulation, thermal insulation and weight carrying capacity. Fermacell is a fibre reinforced gypsum board, manufactured from 100% recycled gypsum and cellulose fibre materials, and can be used as a superior alternative to plasterboard, where this higher performance is required. Fermacell gypsum fibreboard is ideal in "high traffic" areas such as Schools and Sports Halls. Fermacell fibreboard is also ideal in Kitchens and Bathrooms, where it can withstand high humidity levels of up to 80% Rh. It can also be used as a tile backing board. Fermacell board can be used in Timber-Frame housing. All thicknesses of Fermacell board are categorised as Class O (best). Single layers of Fermacell fibreboard can create F60 partitions. As always, check with your Architect or Building Inspector for specific useage specifi­cations and instructions. 10mm Fermacell board is available from stock at Blackburn; 12mm and 15mm Fermacell board is available to order. Haulier Delivery for larger pallet quantities of Fermacell Board may be possible -poa. E. & O.E. see T&C - We do try to keep prices and specifi­cations of Fermacell Gypsum Fibreboard correct, but mistakes can be made!